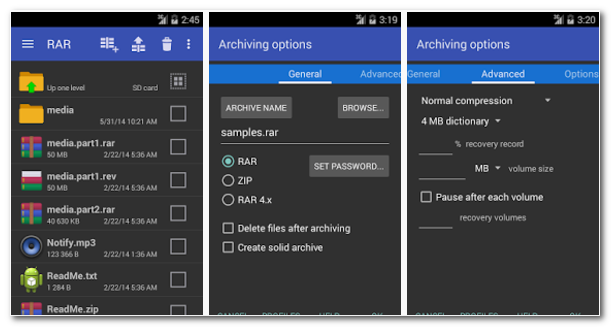 RARLAB’s RAR for Android can create RAR and ZIP and unpack RAR, ZIP, TAR, GZ, BZ2, XZ, 7z, ISO, ARJ archives. ZIP and RAR repair command. 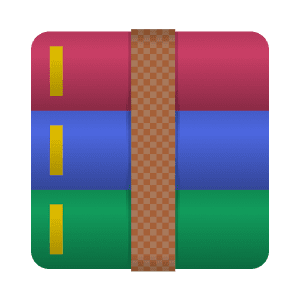 Benchmark function compatible with RARLAB’s WinRAR benchmark. Recovery record, usual and recovery volumes, encryption, solid archives, utilizing multiple CPU cores to compress data. Additionally to standard ZIP files, unzip function supports ZIP and ZIPX with BZIP2, LZMA and PPMd compression. Unrar command is available for all versions of RAR archives including the latest RAR5. Both UDF and ISO9660 ISO file format can be unpacked.